Backsplashes are probably the hottest kitchen trend since granite countertops. No charming cooking space is complete without a stylish backdrop, right? Often, backsplashes are simple enough to install… until you run into the obstruction of an outlet or switch plate. 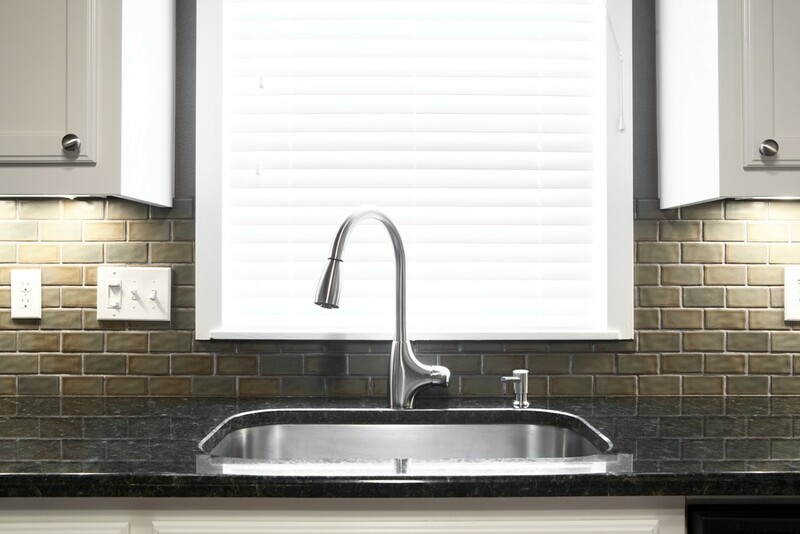 Backsplashes are making such a big comeback because they’re extremely functional. Kitchen surfaces tend to accumulate a lot of grease buildup, especially around and behind the stove. It’s not just about splashing; grease also rises through the air while things cook. It can be tricky to clean the grease and attached dirt off of certain surfaces, and may even damage your paint. However, glass or tile backsplashes are much easier to keep clean. Of course, the really fun part of a backsplash is the decorative element. It’s a great way to add some exciting pops of color and an overall updated look in your kitchen. We’re usually very thoughtful about the backsplash we pick. On the other hand, we don’t think much about how quickly a mismatched switch plate can throw off that carefully-chosen aesthetic. In many backsplashes, a stark white plate simply won’t blend in. In fact, in most cases, it sticks out like a sore thumb. Don’t try to match the exact color. This often goes wrong when you find that you can’t get the exact shade and you’re stuck with something just a titch off. Instead, aim for a contrasting, close, or complementary color. When contrasting colors, we usually recommend that you go darker than the background. This will make the switch plate appear to recede instead of jump out. Remember to match the texture and material as well as the color. They don’t necessarily need to be identical, but they should be complementary. Installing outlets or switch plates around your new backsplash can be difficult. For one thing, you need to factor in the change of thickness from the added backsplash. Therefore, your outlet bases will need to be extended out a little bit, and you might need new screws to accommodate the width. Remember, if you’re not familiar with adjusting electrical outlets, call in a pro. Electric issues are one of the fastest things to get dangerous when homeowners try to do it themselves.